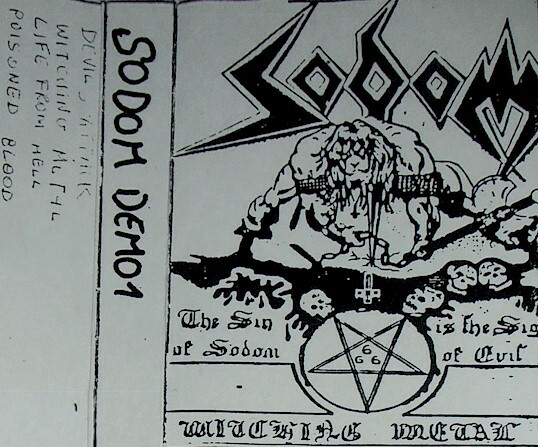 SODOM, hailing from Gelsenkirchen, debuted as a trio consisting of guitarist Angelripper (a.k.a. Thomas Such), drummer Witchhunter (Christian Dudeck) and vocalist Aggressor (Frank Testegen) with the demo 'Witching Metal' in 1983. 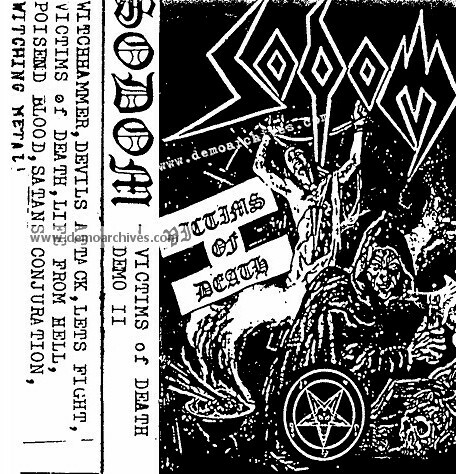 The earliest SODOM incarnation, dating to 1982, had featured Bloody Monster (Rainer Focke) on the drums. 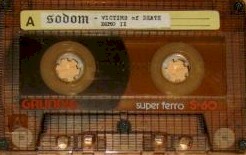 In 1984 a second demo, 'Victims Of Death', included the original tracks boosted with the addition of four new songs. The demo began to receive a great deal of positive press, although Aggressor would choose to opt out. 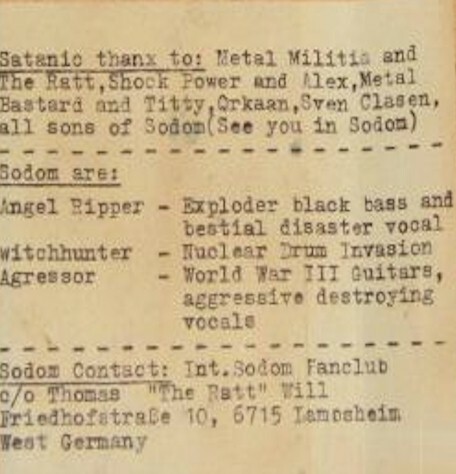 He was eventually replaced by Grave Violator (Josef "Peppi" Dominic) and the new line-up debuted for the first time at the 'Black Metal Night' in Frankfurt. After a further show with DESTRUCTION and IRON ANGEL, Steamhammer SPV Records signed the band and would swiftly release SODOM's debut EP entitled 'In The Sign Of Evil'.